This New Year, letai??i? ?s be proud of what we did together in 2015! Democrats lost the 2014 election because they lacked big ideas that inspire voters. 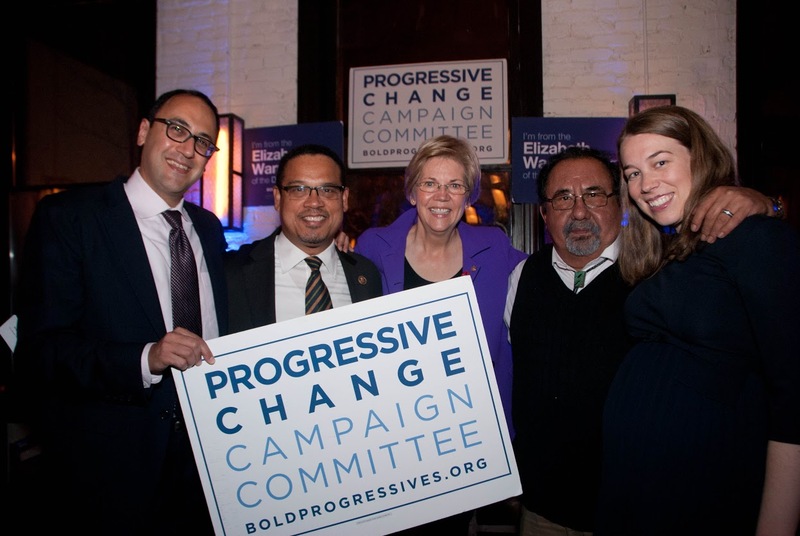 So the Progressive Change Institute launched the Big Ideas Project, calling for a bold new agenda. PCCC members submitted their own ideas and voted on others, casting over one million votes. 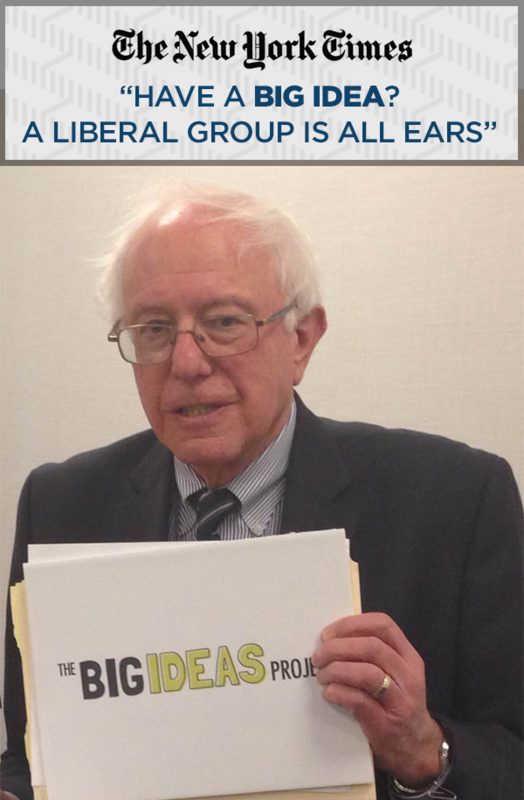 Polling showed that big progressive ideasAi? ?are popular with Democrats, Independents, and Republicans alike. These results were shared with dozens of members of Congress and presidential campaigns — leading to many high-profile endorsements of the big ideas submitted by PCCC members. We organized events on campuses. One of the most popular ideas from the Big Ideas Project was debt-free college — the idea that students should be able to graduate from any public college or university without debt. Thanks to your phone calls, letters to the editor, and nearly half-a-million petition signatures, as well as a strong lobbying effort and coalition of allies like Demos and Democracy for America,Ai? ?we now have over 100 congressional co-sponsors on a resolution calling for debt-free college! 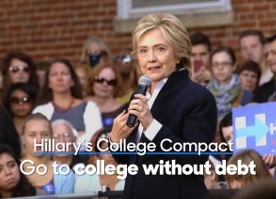 Plus all 3 Democratic presidential candidates have called for debt-free college, legislators in 10 states are planning their own local efforts, and TV ads are hitting the airwaves. By next year, there will be a major mandate in this country for debt-free collegeai??i?? because of you. As Bloomberg News reports, ai?? ?The phrase ai?? ?debt-free collegeai??i?? was hardly present in the national political lexicon until the Progressive Change Campaign Committee launched a campaign in January to push Democrats to support the idea.ai??? Weai??i? ?ve been pushing these ai?? ?big ideasai??? into the political mainstream, and the presidential debates are one great example of our success. In all three Democratic debates, the candidates brought up issues like debt-free college, expanding Social Security, and Wall Street accountability! Meanwhile, our ai?? ?Twitter armyai??? helped spread bold progressive messages, sending thousands of tweets to 125 key reporters before and during the first debate — helping to shape the narrative for the presidential race. Sneak preview: In 2016, get ready for Open Debates — where moderators ask questions directly submitted and voted on by the public. Who could forget the National Candidate Training? 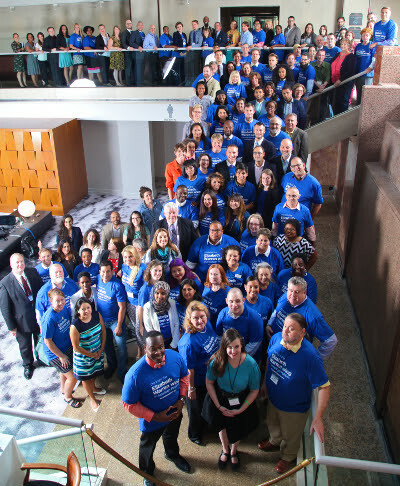 Nearly 200 local, state, and federal candidates gathered in Washington DC for four days of intensive work in fundraising, messaging, and field. 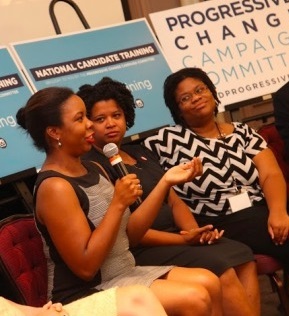 The training gave these bold progressives all the tools they need to win. The candidates even took professional headshots and launched their websites with the help of our talented team. If you are a potential candidate, or know a progressive candidate who might benefit from our trainings, the application is here. For a trip down memory lane, check out the TIME magazine article about our ai?? ?quest to create hundreds of Elizabeth Warrensai??? here. How do we support these “hundreds of Elizabeth Warrens”? We give them our easy-to-use campaign software! Candidates can now design their own website, run their own email program, manage their endorsements and press contacts, and download templates and guides. We use this software to help hundreds of progressive candidates running for local, state, and federal office all over the country. If you are running for office (or know someone who is) you can request your own account here. Al Franken teamed up with PCCC members. Americans won a huge victory in February when the Federal Communications Commission (FCC) issued a rule that stopped cable and phone companies from speeding up some web services while slowing down others — making Net Neutrality the law of the land. When a reporter asked President Obama about the PCCC’s activism, the White House urged the FCC to do the right thing. Working with a big coalition, PCCC members gathered 147,000 petition signatures, submitted 25,000 public comments to the FCC, and made thousands of phone calls to members of Congress. We also partnered with Hollywood celebrities, video gamers, and political heroes like Sen. Al Franken to mobilize the public on this issue. What a great win! In March and April, over 5,000 political leaders signed our ai?? ?Ready for Boldnessai??? letter, calling on all Democratic presidential candidates to run on ai?? ?big, bold, economic populist ideasai??? like debt-free college, expanding Social Security, and breaking up big Wall Street banks. Elizabeth Warren often points out that Wall Street has hundreds of lobbyists in Congress. Weai??i? ?re fighting back. 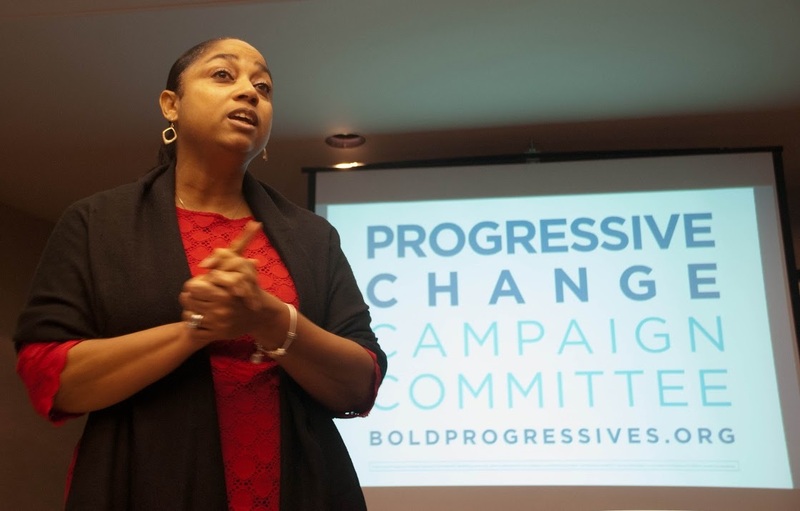 Thousands of PCCC members donated to help hire two progressive lobbyists on Capitol Hill, to build a staff for P Street — the progressive alternative to K Street. 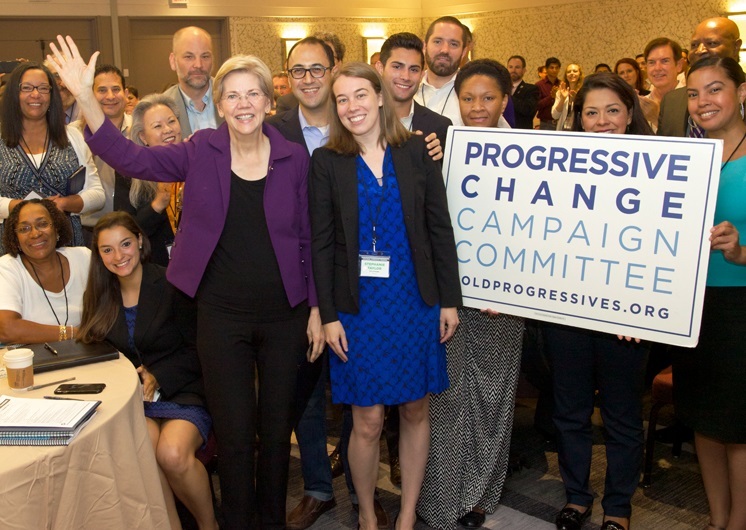 When you hear about 100 members of Congress supporting debt-free college, other big ideas from PCCC members being introduced in Congress, or media events that highlight heroes like Elizabeth Warren, you can thank this progressive lobbying operation — and the PCCC members who made it happen! When Rep. Hank Johnson introduced his proposal for special prosecutors to investigate police killings, PCCC members took action in support of that bill. When Planned Parenthood was under attack — both verbally from Republicans in Congress, and literally from domestic terrorists — we responded by raising tens of thousands of dollars directly for Planned Parenthood. PCCC members have stepped up this year in solidarity with these two movements. Thousands of PCCC members donated a combined $600,000 to the first 2016 ai?? ?Warren wingai??? candidates. We endorsed great progressives early in their U.S. Senate races — Russ Feingold in Wisconsin and Donna Edwards in Maryland. And we endorsed three progressive champs running in competitive U.S. House primaries — Joseline PeAi? ?a-Melnyk (MD-4), Jamie Raskin (MD-8), and Susannah Randolph (FL-8). Our team is now working deeply with all these candidates to make sure their campaigns are as strong as possible. Get ready for more ai?? ?Warren wingai??? endorsements in 2016! We accomplished so much together in 2015. And we look forward to more big fights and progressive victories together in 2016! Thanks for being a bold progressive. And Happy New Year!